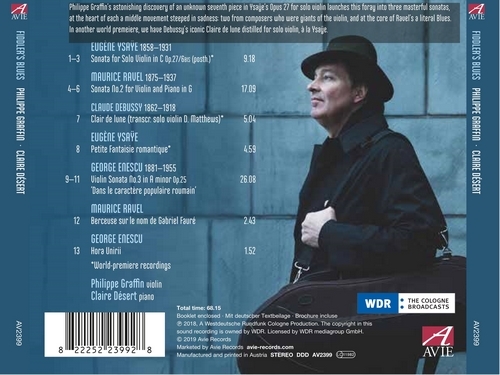 Philippe Graffin’s virtuosity combined with his skills as a sleuth have led to the world-premiere recording of a “Posthumous” solo violin sonata by Eugene Ysaye, an astonishing discovery that extends the Belgian composer’s canon of his essential six sonatas for the medium. 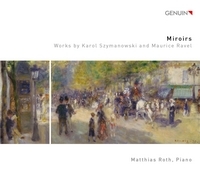 Philippe unearthed the nearly-completed manuscript in the library of the Brussels Conservatoire, and polished off the final movement in the most Ysaye-esque manner possible. 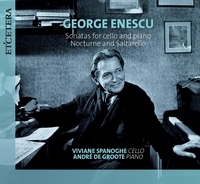 Philippe’s pechant for intuitive programming is brought to bear on Fiddler’s Blues, combining two Ysaye works – including another premiere, the Petite fantasie romantique – with a pair of folksy, Bohemian-flavoured works by George Enescu, another virtuoso violinist / composer who emigrated from his native Romania and like Ysaye settled in Paris. 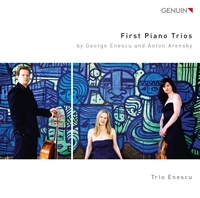 Enescu was a classmate of Maurice Ravel whose Berceuse sur le nom de Gabriel Faure is an affectionate nod to their teacher at the Paris Conservatoire, whilst his azure-tinged Violin Sonata influences the album’s title. 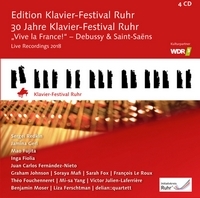 Ravel’s slightly older contemporary Claude Debussy befriended Ysaye. 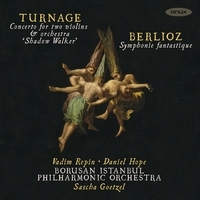 Whereas Ysaye soared writing works for solo violin, Debussy wrote none. 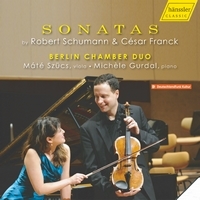 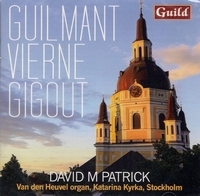 Suggesting how such a work may have sounded, Philippe contributes his own arrangement for solo violin, made together with David Matthews, of Debussy’s enduring piano piece Claire de lune. 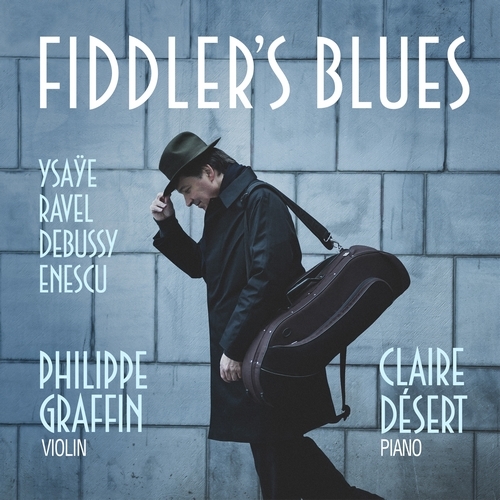 The world-premiere recording of Eugene Ysaye’s “Posthumous” solo violin opens the album Fiddler’s Blues, the latest collaboration between violinist Philippe Graffin and pianist Claire Désert. 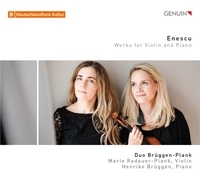 What follows is an ingenious intersection of works by Paris-based violinists, composers and friends – Debussy, Enescu and Ravel.